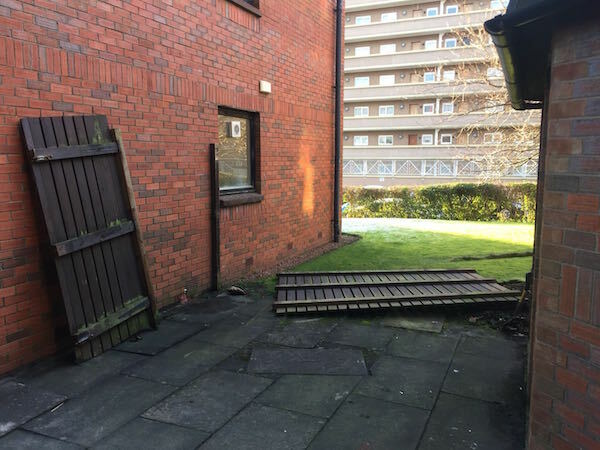 Following very high winds a fence at a residential property in Glasgow was blown over and the fence and gate posts severely damaged. 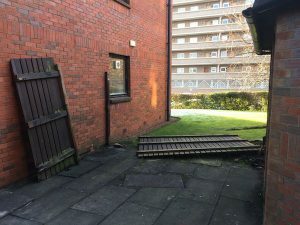 Whyte and Christie’s job was to reinstate the fencing and posts as new. 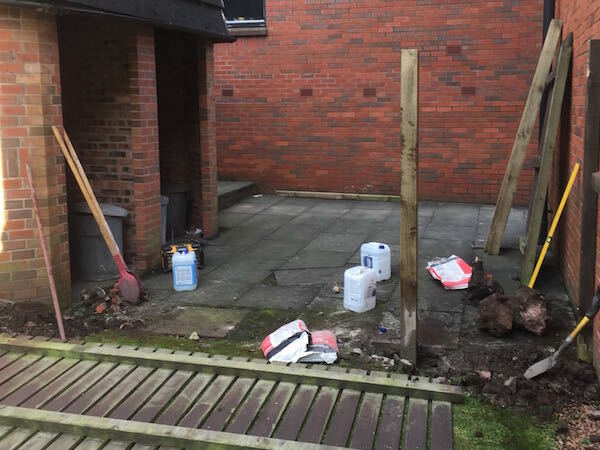 The first step was to dismantle the fallen fence, dig out the rotten posts and re-dig adequate holes for the new posts. We supplied new posts and installed them in the ground with concrete. 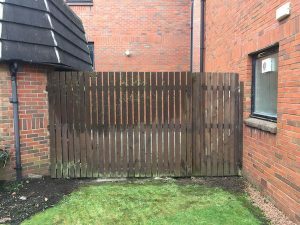 The timber fence was erected using rails and slats. 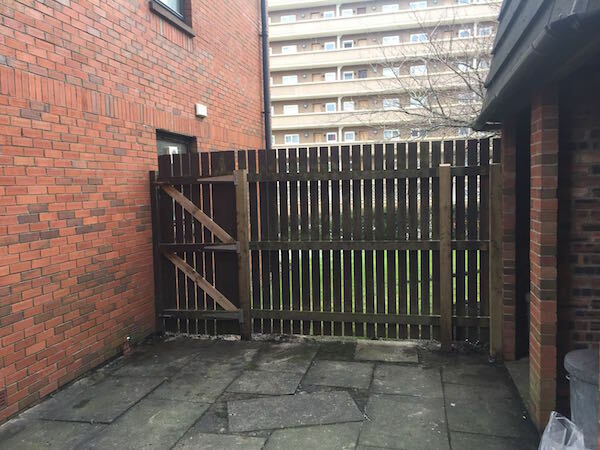 New gate hinges were fixed to the post prior to re-hanging the timber gate which had extra supports added. The site was brushed and all rubbish removed from the site to leave it clean and tidy. 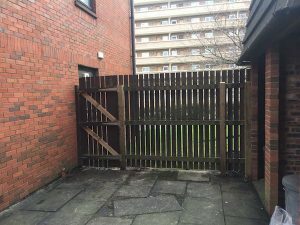 The result was a reinstated, sturdy fence and gate both in excellent working order to provide security for the bin area and garden.